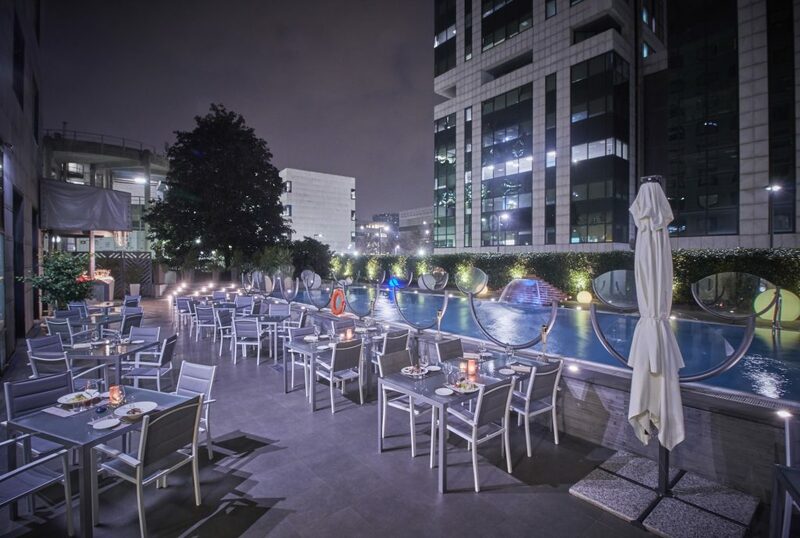 iH Hotels Milano Lorenteggio, a modern 4-star Hotel in Milan, is an 8-storey building with 128 rooms. Thanks to the recent and attentive renovation based on attractive design, this hotel is the ideal solution for both business travellers and young couples or families wishing to stay in Milan. Our hotel boasts a stylish and contemporary ambience, a lounge bar, an indoor restaurant and a meeting room. 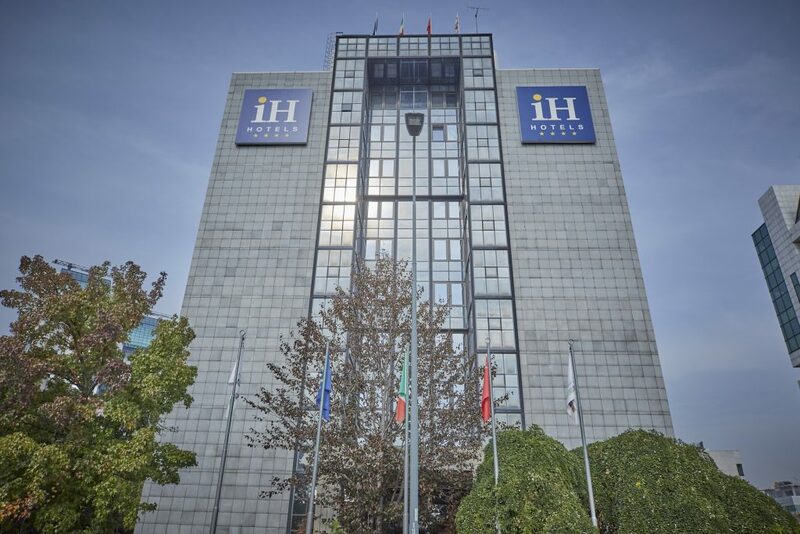 iH Hotels Milano Lorenteggio is located in one of the most important business districts of the city of Milan, where the most famous multinational corporations have their offices, only 30 minutes from the center of Milan. It is easily accessible from the motorways and airports of Linate, Malpensa and Bergamo-Orio, as well as from the railway stations “Stazione centrale” and “Rogoredo”. The Bisceglie station of the M1 underground train is about 1 km away, allowing you to quickly reach all of the city’s most important attractions and landmarks, such as the Fieramilano fairgrounds in Rho, Fieramilanocity and the adjacent Mi.Co-Milan Convention Center and the stadium of San Siro. 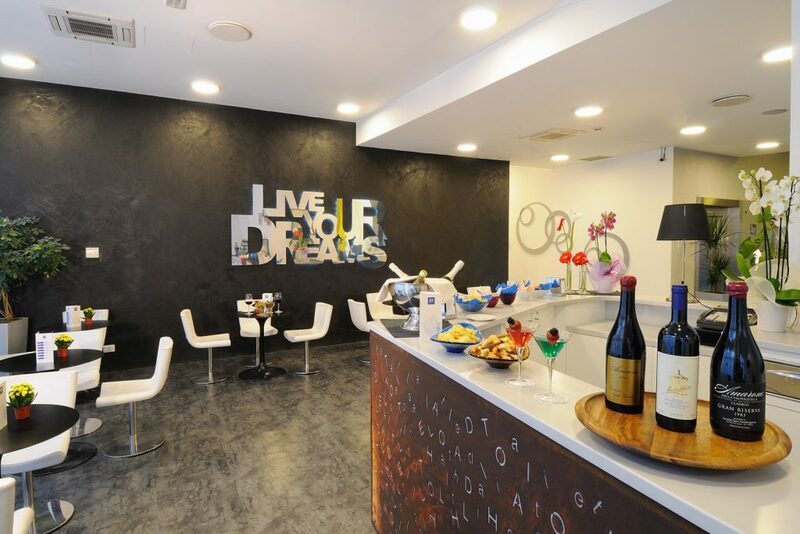 The iH Hotels Milano Lorenteggio welcomes you in a beautiful Lounge Bar where guests can enjoy delicious cocktails or just relax. Broadband wifi connection is available to ensure fast and efficient connectivity. The 80-square-meter “Orchidea” meeting room can accommodate up to 65 people arranged in a theatre layout, with natural lighting and technical equipment (video projector, flipchart, etc.). Every morning, in the large and bright breakfast room, our guests can enjoy a great start of their day: a scrumptious and generous breakfast buffet with an amazing variety of top-quality ingredients, from home-made cakes to salty delicacies. The iH Gusto Restaurant serves international cuisine and typically Milanese recipes. A private garage on two levels is always available for guests arriving by car or motorbike.